The Baldwin Coolidge Photographic Collection is comprised of over 2,000 original negatives, copy prints of the negatives, and a small number of original prints. Coolidge developed his prints on delicately toned Aristo paper. Coolidge was active as a professional photographer from the late 1870s until 1917, which time period is congruent with the chronological coverage of the collection.Boston, Massachusetts is the best represented locality in the collection. Coolidge photographed the Public Garden, Boston Common, T. Wharf, Trinity Church, Boston Public Library, Salada Tea Building under construction, Christian Science Mother Church, and many other streets and buildings. Coolidge's emphasis tends to be on the street or building as a whole, rather than on specific details. To this extent, his photographs are an excellent record of the urban scene at the turn of the twentieth century, often including pedestrians and other signs of activity usually absent from more rigorously architectural views.He also maintained a summer studio on Martha's Vineyard, Massachusetts, the base from which he made several hundred views of Nantucket, Falmouth, and other Cape Cod communities. He took a series of over fifty images of the staff, students, and facilities of the Marine Biological Laboratory at Wood's Hole.Coolidge's work includes studies of various public libraries by Henry Hobson Richardson; the life-saving stations at Hull, Massachusetts and Biddeford, Maine; farmhouses and scenery in Windham, New Hampshire; and scenes along the Cog Railway and Summit House on Mount Washington, New Hampshire. 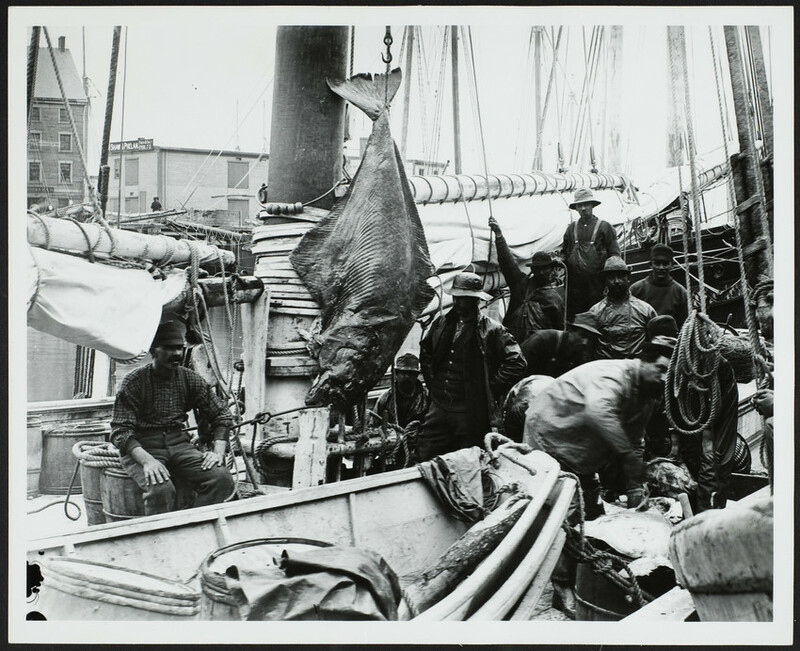 In other photographs, he focused on working ships, especially fishing schooners. Source: Guide to the Library and Archives, 7. Baldwin Coolidge was born in July 1845 in Woburn, Massachusetts to Benjamin and Mary (Manning) Baldwin. During the Civil war, he served in Company K of the Sixth Massachusetts Regiment of the Light Artillery and was discharged in 1866. He married Lucy Ann Plumer in February of the same year. Like his grandfather, he worked as an engineer and held the post of city engineer in Lawrence, Massachusetts. Changing careers and moving to Boston, Coolidge established his first photography shop at 147 Tremont Street. In 1904, he opened a studio at his last location, 410A Boylston Street in Boston. Due to worsening health, he left New England to live with his daughter in Pasadena, California. Resuming his artistic vocations, Coolidge sketched and painted in watercolors. He died in 1928, and his ashes were returned to his hometown of Woburn for burial.Coolidge was a prolific photographer, amassing more than 20,000 negatives during his lifetime. Among the many types of images Coolidge captured, he focused his lens on life in Oak Bluffs, Nantucket, and Woods Hole, Massachusetts, the streets and buildings of Boston, pastoral and marine views in Windham, New Hampshire and Biddeford, Maine, and vessels of all kinds. In addition, Coolidge was staff photographer for the Museum of Fine Arts, Boston for thirty years.Source: Reichlin, Ellie. "Double Exposure and William Sumner Appleton", Old-Time New England 69, no. 255 (Winter/Spring 1979): 34-41. Reichlin, Ellie. "Double Exposure and William Sumner Appleton", Old-Time New England 69, no. 255 (Winter/Spring 1979): 34-41. The photographs of ships are arranged in the Subjects file under Marine transportation and are in alphabetical order by vessel name.